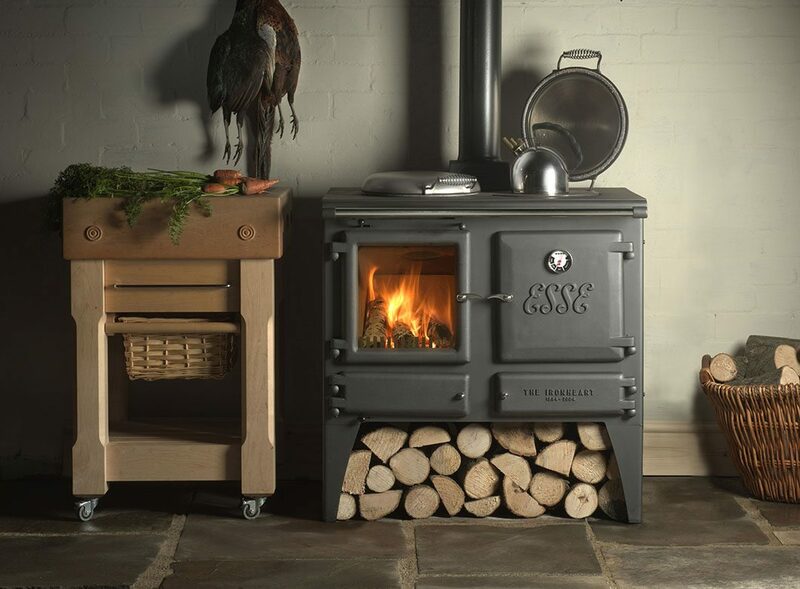 The Ironheart may look as if it’s been around for ever, but in fact it’s a recent arrival – created to celebrate 150 years of ESSE. It’s a stove and a range cooker in one, combining the best of our two main product ranges. Cooking and heating have never come together more beautifully. Unlike our standard range cookers, which are designed to contain heat, the Ironheart has convection panels that radiate warmth like a wood-burning stove. The large firebox can burn either wood or smokeless coal. And whatever fuel you choose, you’ll enjoy watching the flames leap and flicker through the large clear glass window. The oven has an almost 50 litre capacity, and you can also cook directly in the firebox. With the “dog bone” hotplate comfortably able to take up to six pans, the Ironheart is equipped to bring out the very best in creative cooks – so no wonder it’s become a firm favourite with head chef Gill Meller and his team at River Cottage HQ.